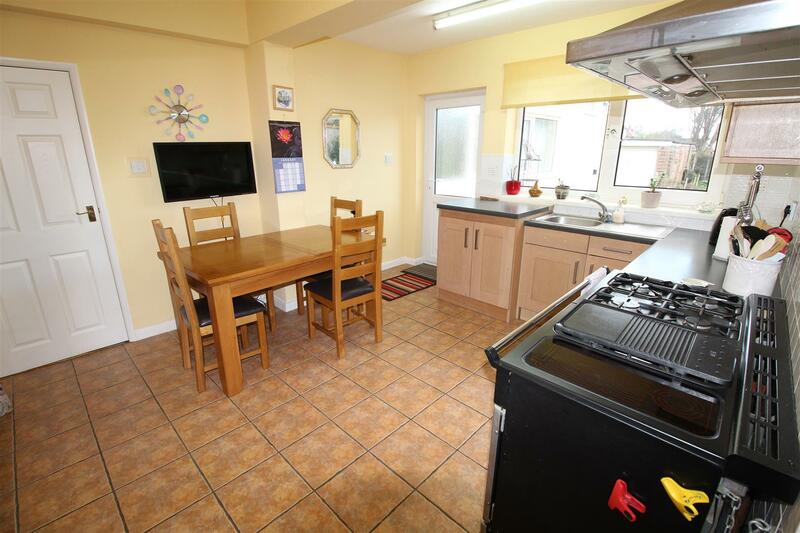 Located just off Scartho Road and within close proximity to Diana, Princess of Wales Hospital and Grimsby Institute, we are pleased to offer for sale this detached four/five double bedroomed property. 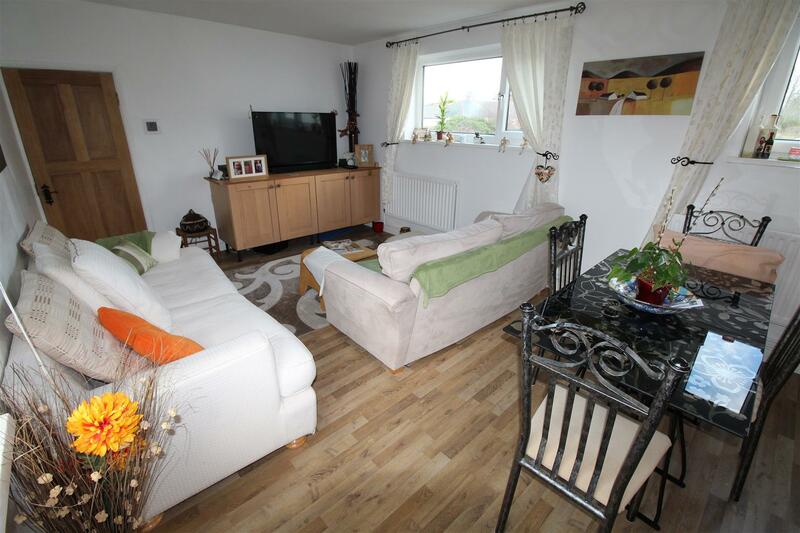 The property has such flexibility because originally it was two semi detached properties which has been converted into one property. There are still front entrances from either side of the property as one part of the family lives downstairs whilst the other occupies alot of the upstairs accommodation but also coming together in the property at different points of the day as a whole family. 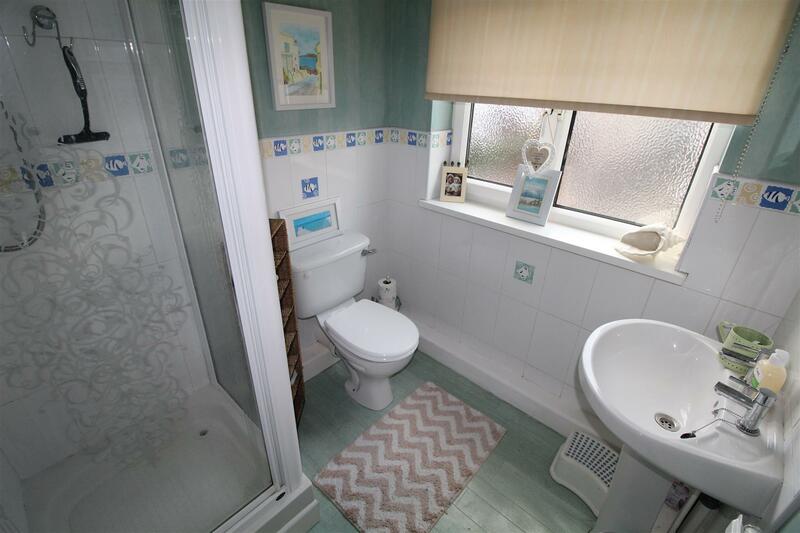 In the ground floor of the property you will find a welcoming entrance hall, study/bedroom 2, sitting room, lounge, kitchen-dining room, master bedroom and shower room, there is a utility area and the hallway going to the first floor accommodation. 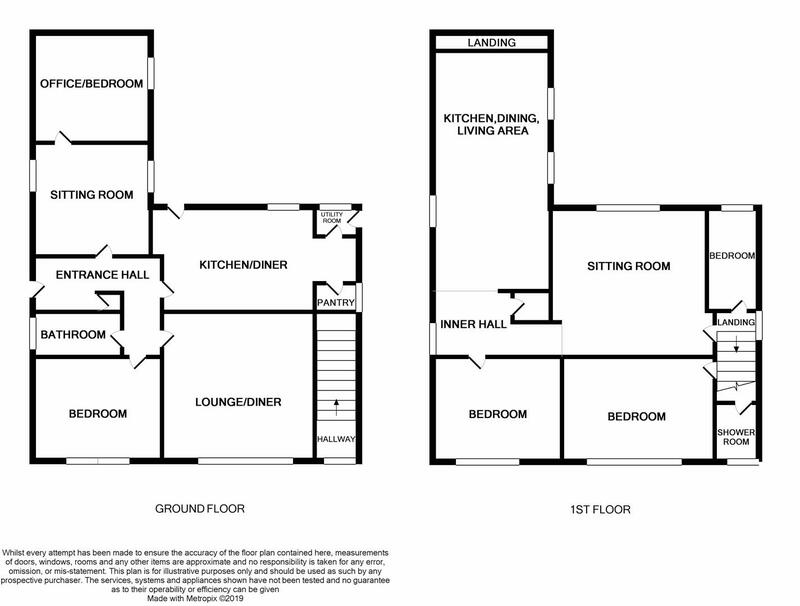 The 2nd entrance hall leads you into the ground floor accommodation but also to the first floor accommodation which benefits a landing, 3 double bedrooms, two shower rooms, a sitting room leading into an inner hallway which then leads you into another kitchen-dining-living room. 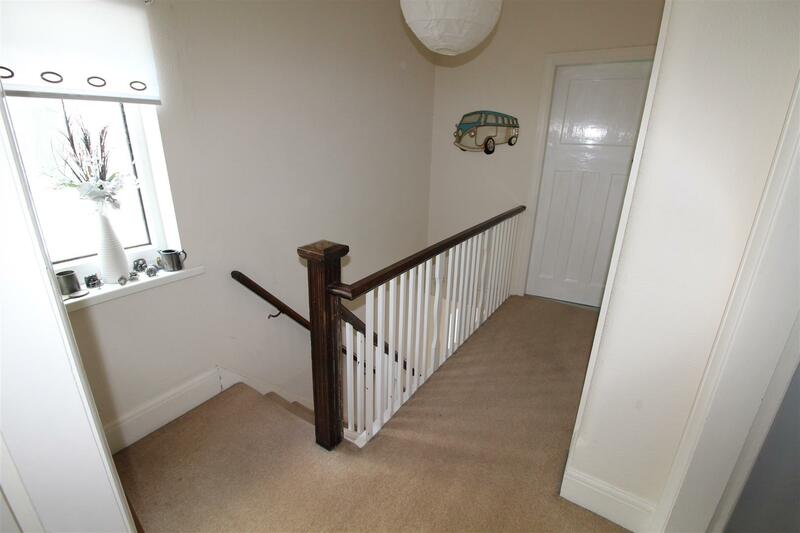 There is a staircase leading from the living room down to the ground floor and onto the driveway. The property to the front has 4 parking spaces on the block paving, there are driveways to both sides of the property, one is a single driveway which leads you straight down to the garage and to the workshop and the garden, whilst the other side of the driveway is shared with the neighbour but this driveway also leads you through double gates to the rear garden. 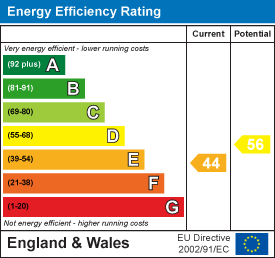 The property does benefit from gas central heating and u.PVC double glazing and an alarm system. 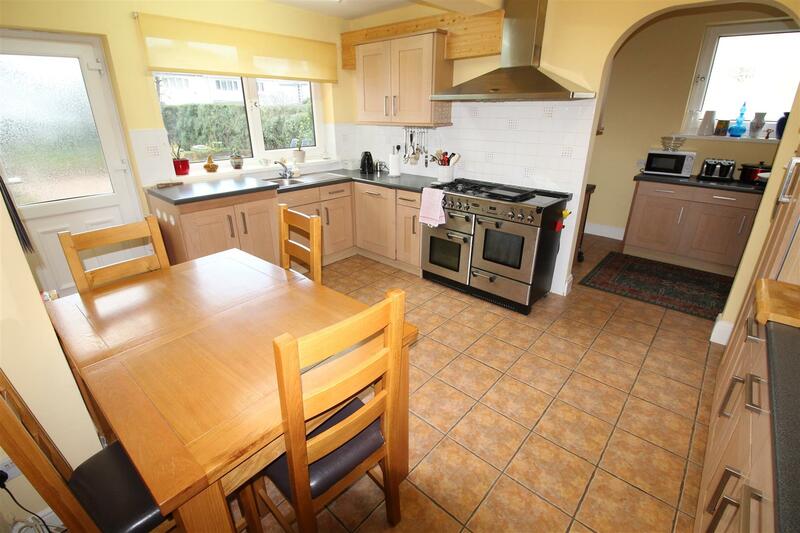 This property is very large, spacious and versatile. The opportunities are endless. 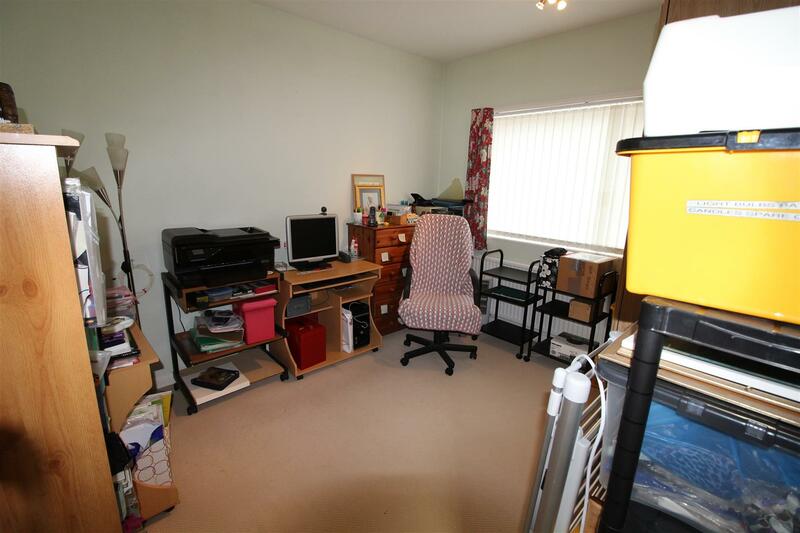 This property is a must to view to be fully appreciated. Through a u.PVC, obscure door and casement into the welcoming L-shaped entrance hall. 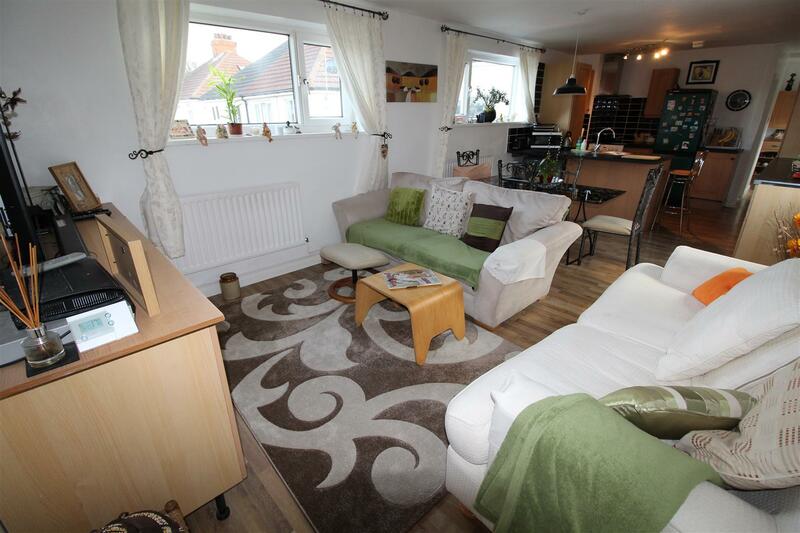 Central heating radiator, ceiling light, cupboard for easy storage and all panelled doors lead off. With a u.PVC double glazed window to the front aspect, central heating radiator, 3 ceiling lights, a Mahogany fire surround with marble hearth and backing and an inset Living Flame style of coal effect gas fire. 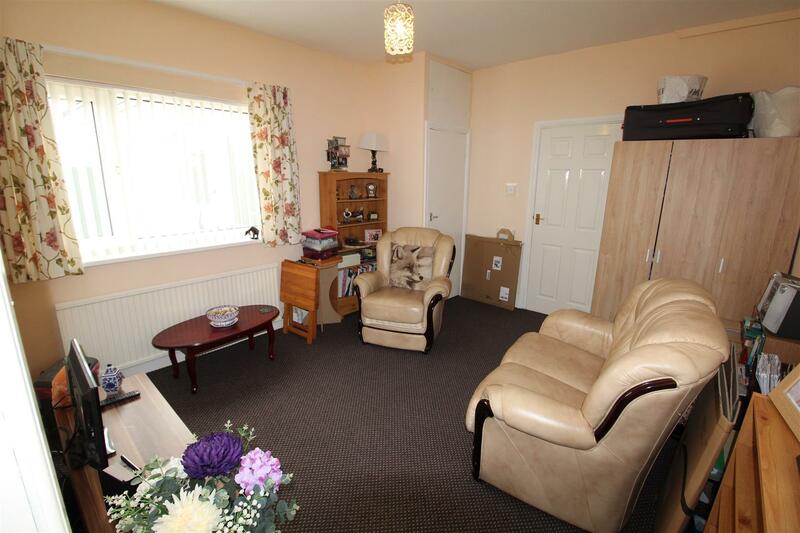 There is plenty of room for table and chairs in this light and spacious room. 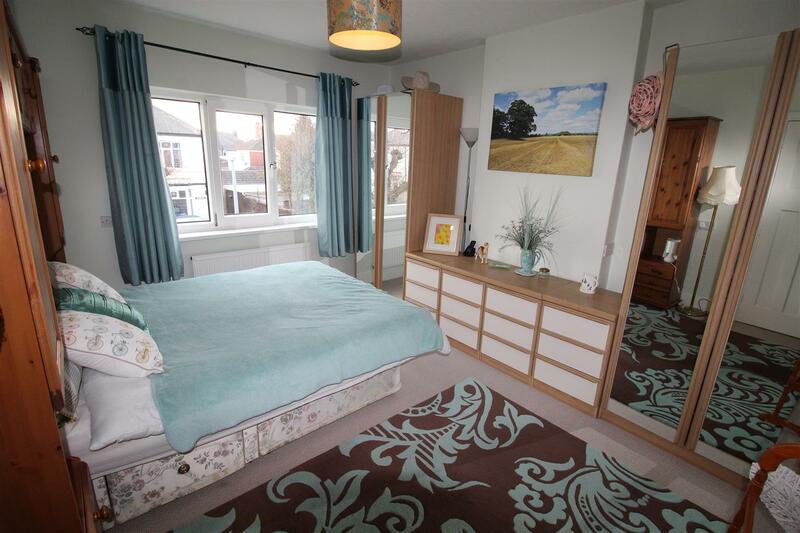 With 2 u.PVC double glazed windows, central heating radiator and a ceiling light. 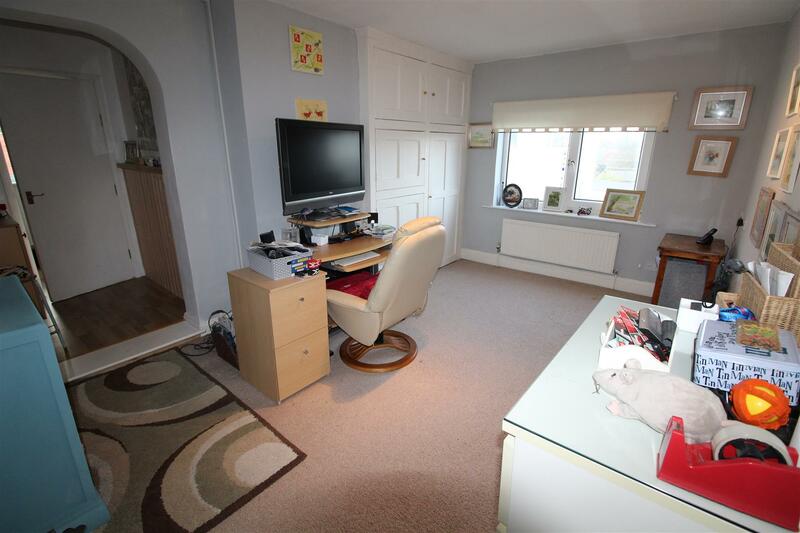 There is a cupboard for storage incorporating a central heating radiator. With a u.PVC double glazed window, central heating radiator and ceiling light. 4.70m x 3.70m going onto 3.40m x 2m (15'5" x 12'1"
With a range of medium Oak Shaker style units to the base and wall with chrome door and drawer furniture, scroll tops and valances, post form roll edge work surfaces and tiled reveals. Integral dishwasher, space for a fridge-freezer and space for a Rangemaster size cooker, extractor above. Gas combination Worcester boiler is also housed here. Through the arch there are further cupboards to the base and wall with scroll tops and valances and post form roll edge work surfaces. There is also a large walk in larder cupboard. Three ceiling lights, a u.PVC double glazed window to both the rear and side aspects and a u.PVC double glazed door to the rear. Partial tiling to the walls and the floor is fully tiled. 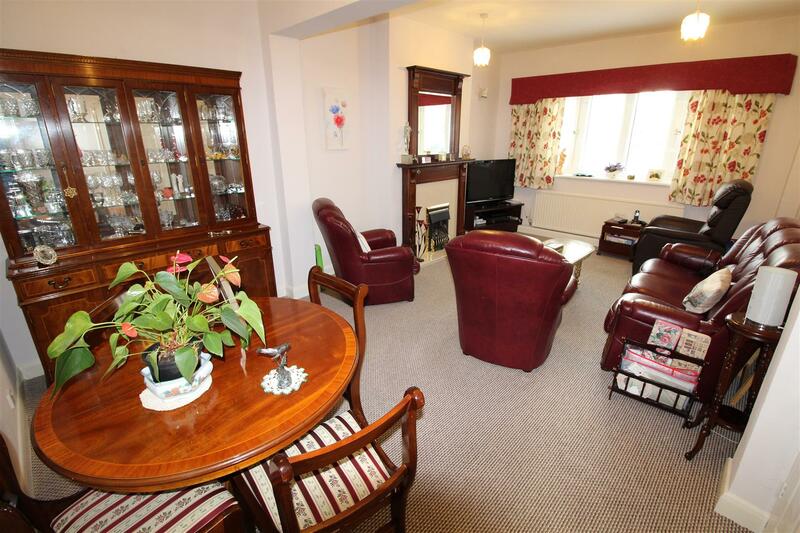 There is plenty of room for a table and chairs and panelled doors lead off. 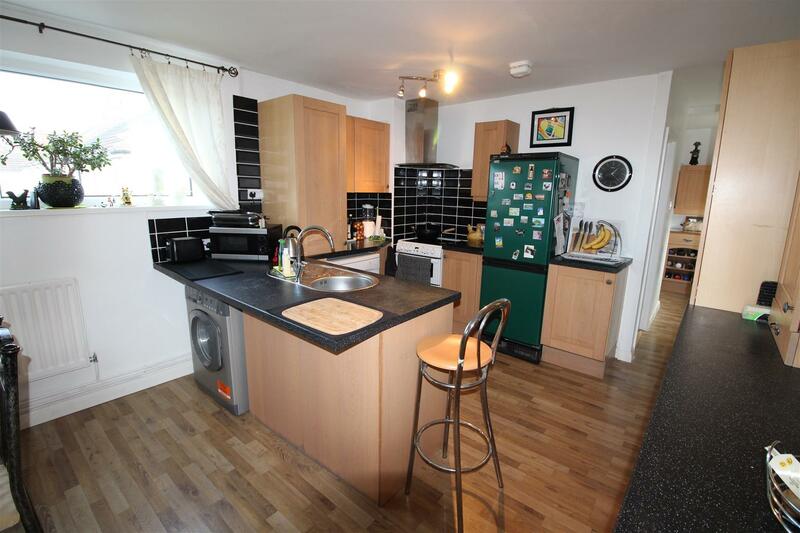 There is plumbing for a washing machine and venting for a tumble dryer and room for a fridge-freezer. A u.PVC double glazed obscure window to the rear and a u.PVC double glazed obscure and panelled door to the side exit. There is partial tiling to walls, tiling to the floor and a ceiling light. 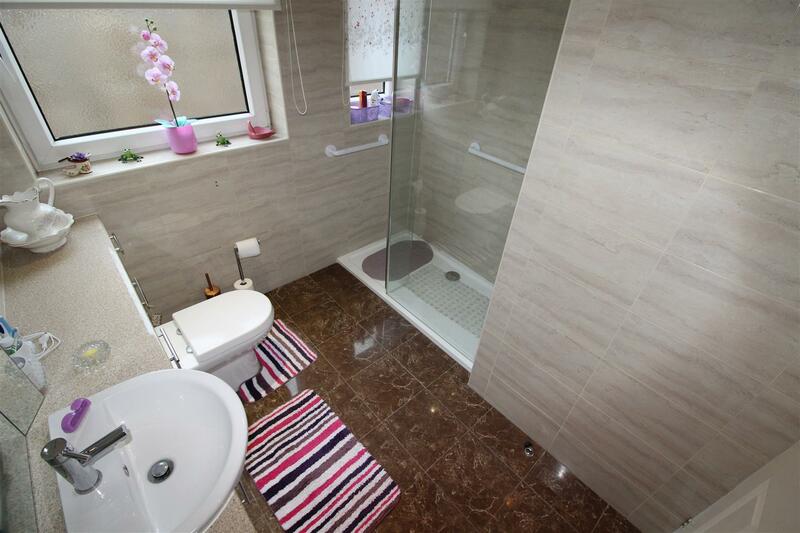 With a double shower cubicle with a glass partition and plumbed shower with light and extractor fan above. Close coupled toilet and wash hand basin within a white high gloss vanity unit. The units with chrome door and drawer furniture with neutral high gloss work surfaces. There is tiling to the walls and floor and spot lights to the ceiling. A chrome towelling radiator, 2 u.PVC double glazed obscure windows. 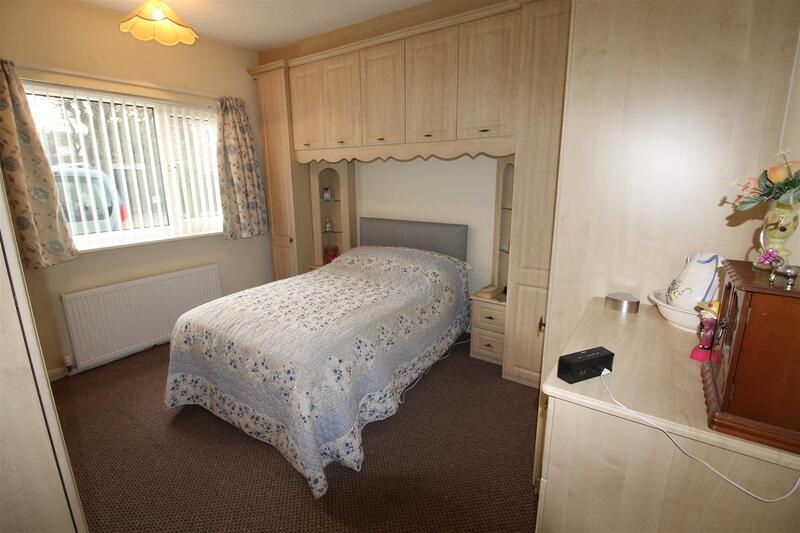 This is a double size bedroom with a u.PVC double glazed window, central heating radiator and ceiling light. 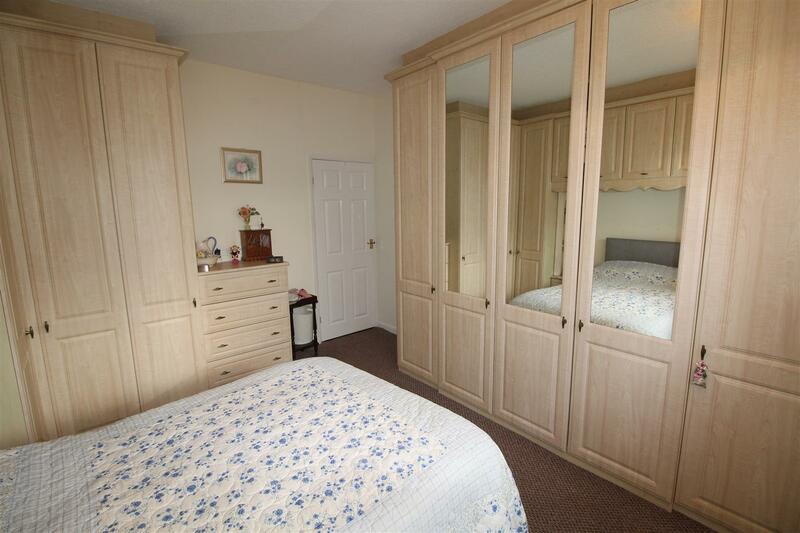 A large expanse of light Beech effect Shaker style wardrobes and drawers on three walls and also over the bed. This is a beautiful spacious room. 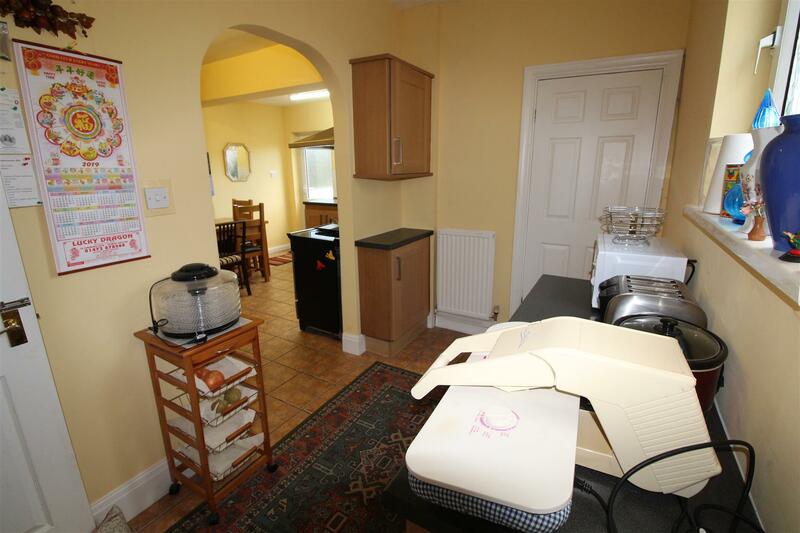 Leading from the kitchen through a panelled door there is a hallway. With a u.PVC double glazed window to the front and a uPVC double glazed obscure, panelled door which is the 2nd front door. 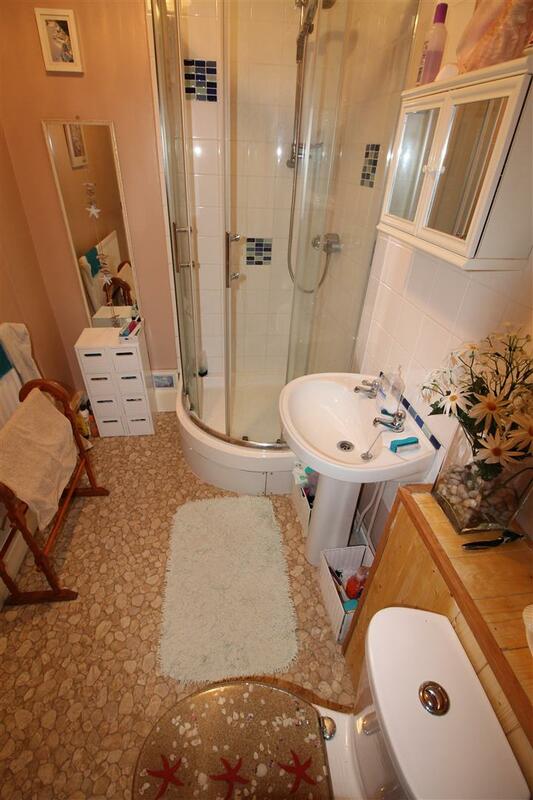 A central heating radiator, ceiling light and stairs to the first floor accommodation. 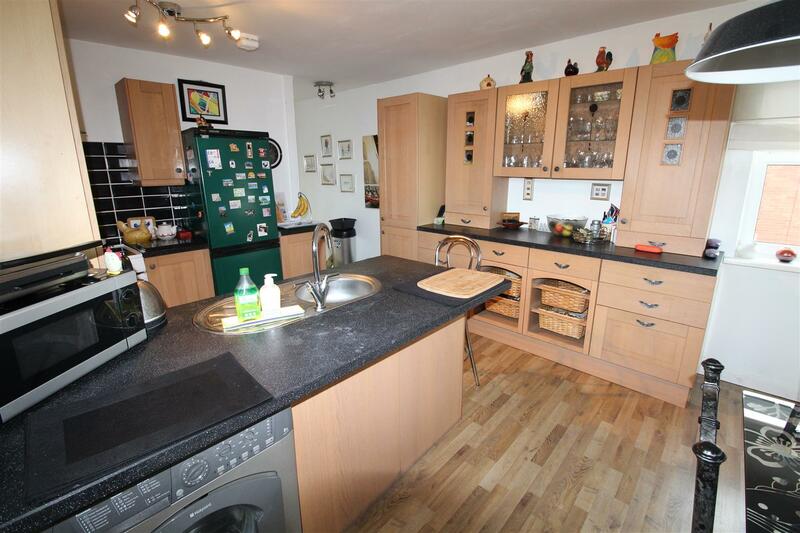 The kitchen area with medium Oak effect Shaker style units to the base and wall with pewter door and drawer furniture. Post form roll edge work surfaces and tiled reveals. 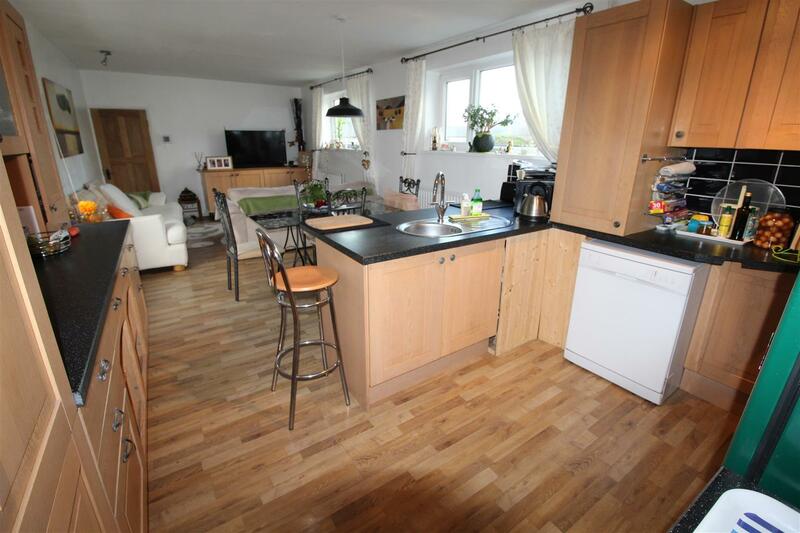 There is a single circular sink with mixer tap and drainer, space for a fridge-freezer, space for a slot in cooker with an extractor fan above and plumbing for a washing machine and dishwasher. The gas combination Zanussi boiler is also housed here. There is a breakfast bar area also. 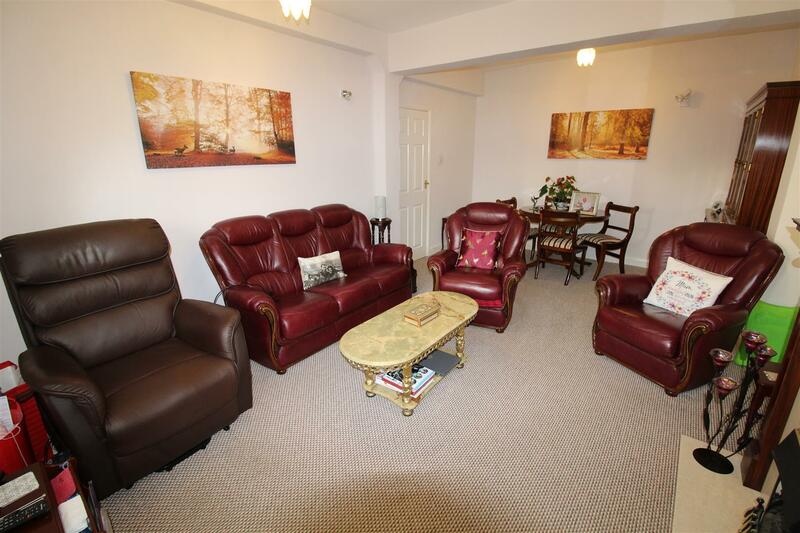 The room opens into the dining area where there is plenty of room for a large table and chairs and then onto the lounge area where there is more than ample room for "living day furniture". There are three u.PVC double glazed windows, 2 central heating radiators, 3 ceiling lights and all this upon a laminate floor. 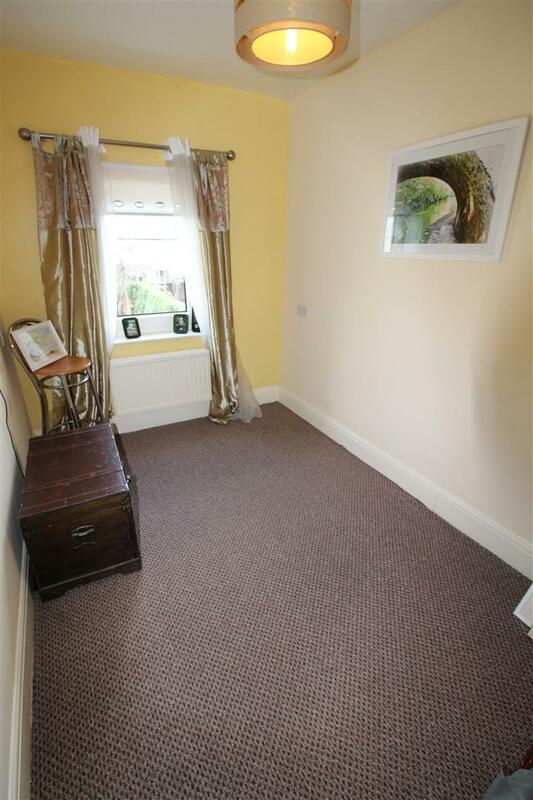 This is a lovely light and spacious room. With a u.PVC double glazed window to the rear aspect, central heating radiator and a ceiling light. There are cupboards for easy storage, the loft access with a pull down ladder, the loft is boarded and there is a ceiling light. Through an archway you go into the inner hall. The inner hall with a ceiling light, another loft access, a u.PVC double glazed window and doors leading off. 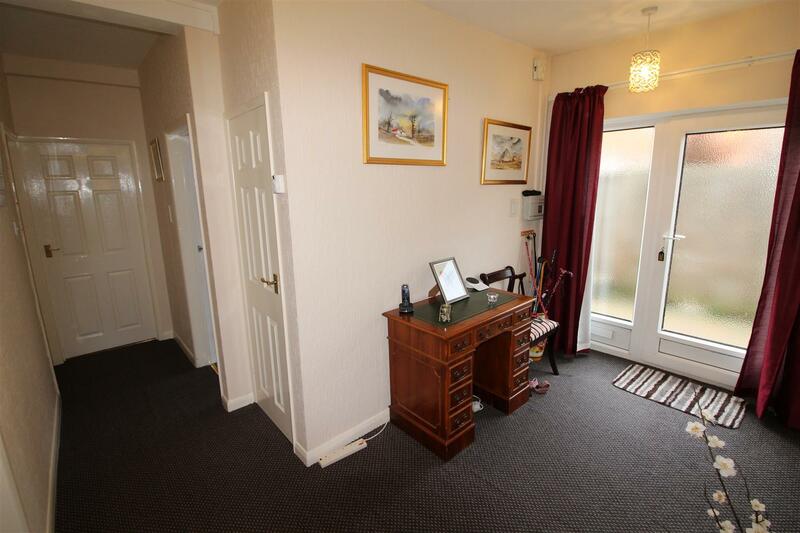 To the front of the property with a u.PVC double glazed window, chimney breast, picture rail, ceiling light and a central heating radiator. With a white suite comprising of a shower cubicle with a plumbed shower above. Pedestal wash hand basin and a close and close coupled toilet. Partial tiling to the walls and vinyl to the floor. Central heating radiator, light and extractor fan to the ceiling. 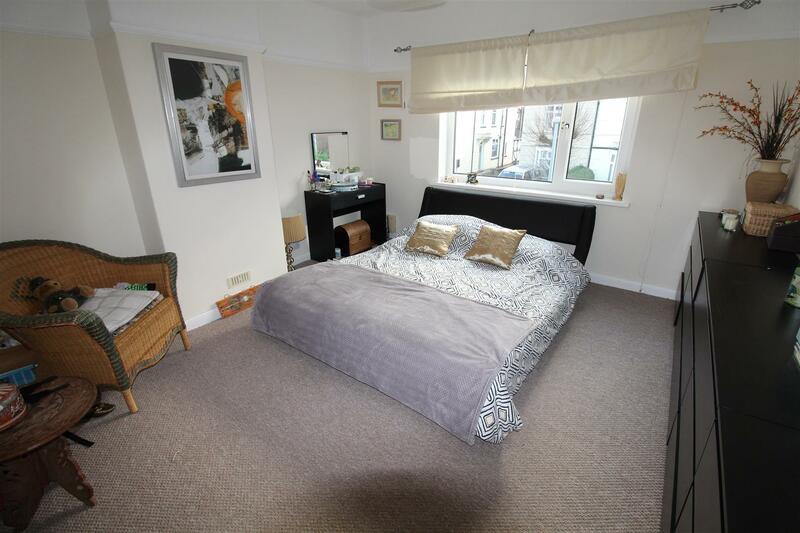 This double size bedroom to the front of the property with a u.PVC double glazed window, central heating radiator, ceiling light and chimney breast. 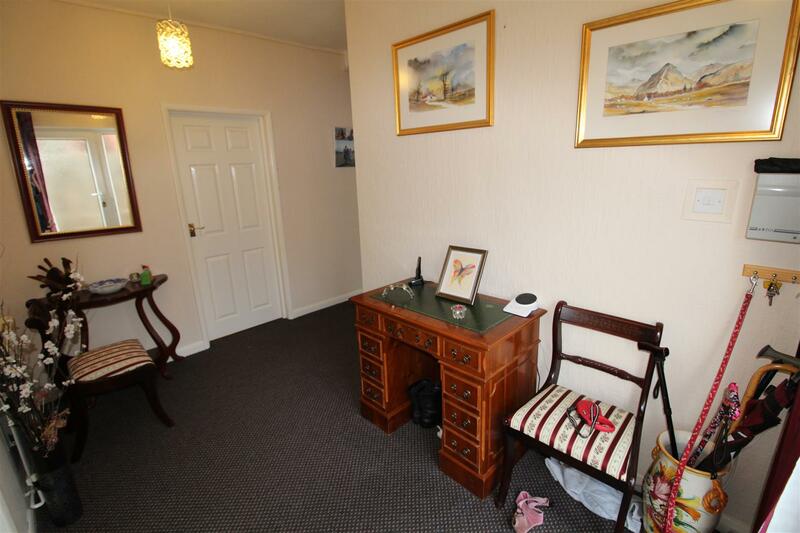 This double room with a u.PVC double glazed window, central heating radiator and ceiling light. With a white suite comprising of a single shower cubicle with an electric shower, pedestal wash hand basin and a close coupled toilet. Partial tiling to the walls and vinyl to the floor. A central heating radiator, spot lights to the ceiling and a u.PVC double glazed, obscure window. Access via the living room, there is a door onto the rear staircase where there is a u.PVC double glazed window and a u.PVC double glazed and planelled door to the rear exit. There is plenty of room here for storage. The front of the property has been block paved for hard-standing for 4 vehicles. To the left hand side there is a long driveway to a gate, then it takes you to the single garage which is of brick with a flat roof and an up and over door and the garage has light and power. 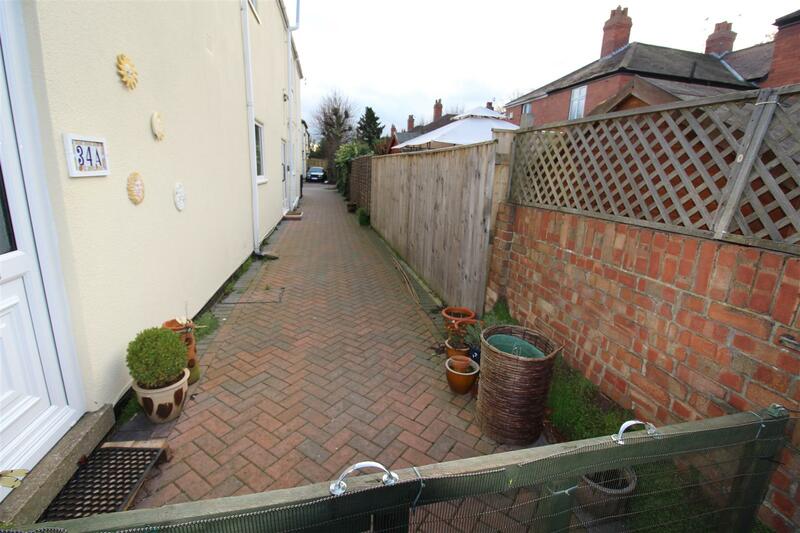 To the right hand side there is a shared driveway down to the wooden double gates at the rear. There is also sensor lighting down both driveways. 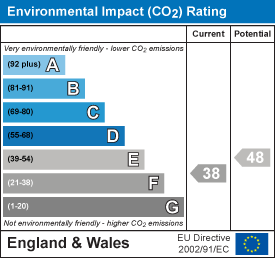 The rear garden is within a fenced and hedged boundary, to one side there is room for a vegetable patch, a greenhouse and then further down the driveway, next door to the garage you will find an insulated workshop with a u.PVC double glazed window , a u.PVC door and with light and power. The driveway then leads you to a shingled bed where there are pavers which create stepping stones onto the block paved, large patio area. There is a small brick wall where if you go down a step you then enter the lawned area. This area has been nicely cared for, there are borders of shrubs and mature trees and in the summer with all the blossom this garden would look truly beautiful. There is plenty of sensor lighting and outside lighting in this garden also.